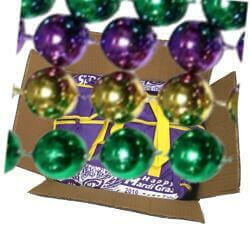 They are sold by 6 piece (6) bags and 4 dozen (48) cases. 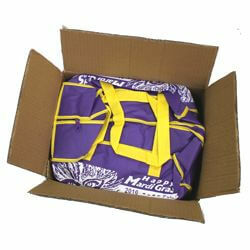 They are sold by 6 piece (6) bags and 3 dozen (36) cases. 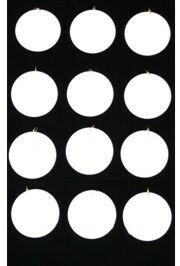 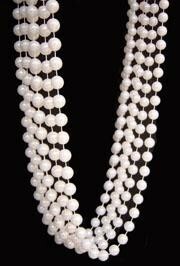 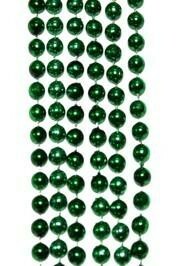 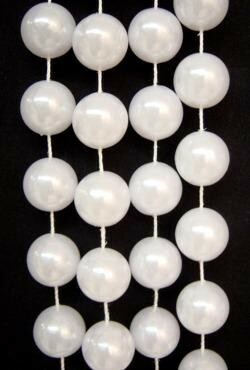 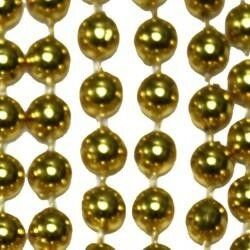 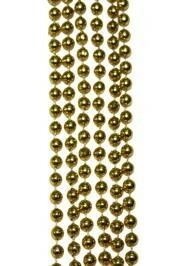 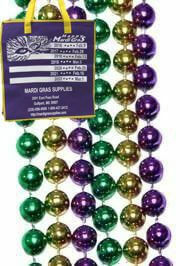 These are Mardi Gras Long Beads at 60in - the perfect throw bead. 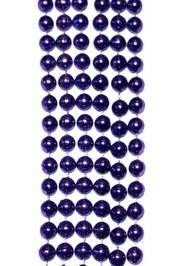 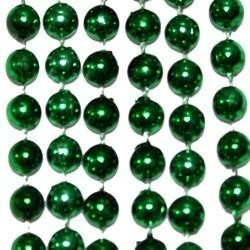 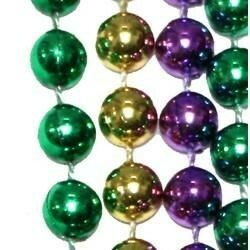 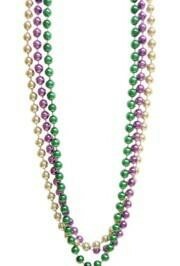 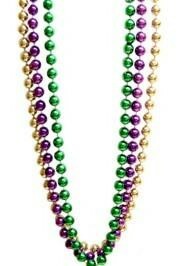 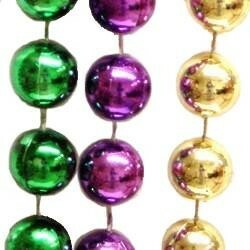 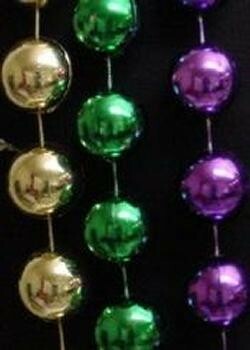 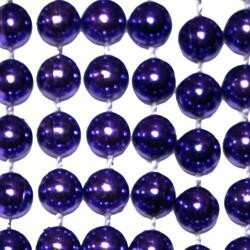 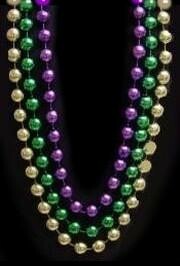 This set of 60in beads come in the traditional Mardi Gras colors - purple beads, green beads, and gold beads. 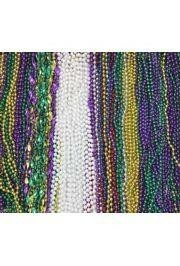 Beads are sold by 1/2 dozen (6) bags and 6 dozen (72) cases.